Most people just buy their CraftIDs with no finish. For those looking for something really special we offer three finishing options for you. The simplest options is that we apply our favorite sealer. This is General Finishes' Seal-a-Cell oil and urethane clear sealer. If you feel this will assist your finishing and is compatible with your ultimate finish then having us seal your CraftIDs might be a good solution for you. 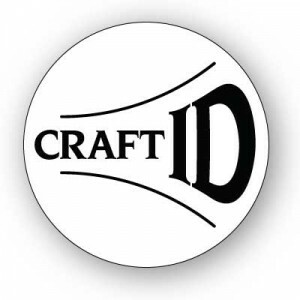 To really make your CraftID signature pop we can fill your CraftID's engraved information with acrylic paint or epoxy. We have some basic and some not-so-basic colors of acrylic paint and solid pigments for the epoxy. You can ask us about specific colors, let us pick something in the general color you want, or provide us with a color of your choice. Grab this opportunity to really make your signature stand out or accent your work. We want you to look good.